Fiat Chrysler Automobiles will allegedly convert an existing engine factory in Detroit, Michigan, to build a new three-row version of the Jeep Grand Cherokee, according to multiple media sources including The Detroit Bureau and The Detroit News. We have reached out to FCA for comment, but the company declined to make a statement on the rumors. The Mack Avenue Engine II plant is currently idled. 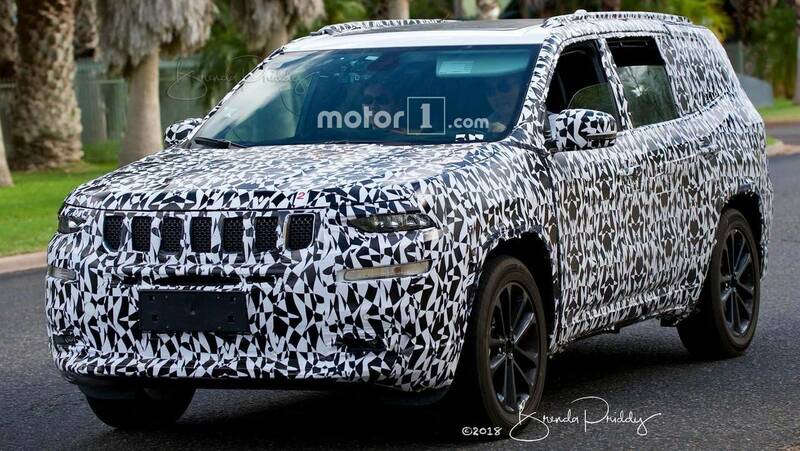 The conversion to building the three-row Grand Cherokee could happen quickly enough for the new model to go on sale for the 2021 model year, according to The Detroit News. The site would reportedly employ about 400 people. FCA is running out of factory capacity in the United States but sees the demand for even more crossovers, according to The Detroit Bureau. Converting the unused engine plant to produce vehicles offers a quick solution to the problem. The three-row Grand Cherokee is the third seven-passenger model joining Jeep&apos;s lineups in the coming years. The company is also making a big investment into its Warren Truck Assembly plant so that it can produce the upcoming Wagoneer and Grand Wagoneer, in addition to Ram HD pickup trucks. There are few details yet about the upcoming Wagoneers (spy shots above), but both of them would reportedly be available in three-row form. Jeep&apos;s product plan indicates the SUVs arrive before 2022. They sit a segment above the current Grand Cherokee, which means there would be even more room inside for occupants to get comfy. Fully optioned Grand Wagoneers would reportedly carry a six-figure price, making it the most expensive factory-offered Jeep ever. Leaked documents also suggest that FCA has a performance-oriented Trackhawk version under consideration, too. Published on Fri, 07 Dec 2018 19:00:30 GMT, © All rights reserved by the publisher.